How would you answer the question, "Does leadership scale in my organization?" Specifically, does your leadership scale? What if certain behaviors have the unintended consequence of canceling out other behaviors to the extent that your leadership is not nearly as effective as you think? These were the provocative questions Michael O'Connor, VP, Full Circle Group, framed for a packed house at the Clearwater Consulting quarterly Executive Leadership Breakfast. 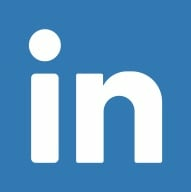 Michael and his colleagues have been strategic partners with Clearwater Consulting for several years. 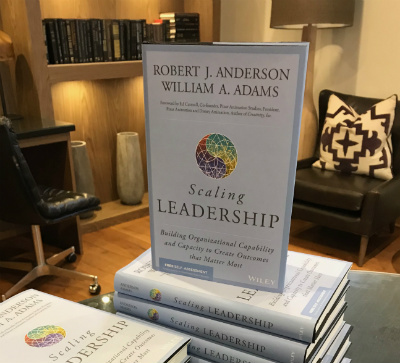 He joined us in Atlanta to share some of the key insights and surprising outcomes from the recently published book, Scaling Leadership: Building Organizational Capability and Capacity to Create Outcomes that Matter Most. The co-authors, Bob Anderson and Bill Adams, spent several years analyzing feedback and comments collected in the Leadership Circle Profile, a 360-degree assessment used by 150,000 leaders incorporating over 1.7 million evaluators. This is the tool Clearwater most often uses for leadership insights. How do senior leaders, in their own words, describe the most effective leaders—the ones that get results, grow the business, enhance the culture and leave in their wake a trail of other really effective leaders? Conversely, how do senior leaders describe the kind of leader that undercuts the organization’s capacity and capability to create its future? When "Passion & Drive" are undercut by "Ineffective Interaction"
When "Results-driven Focus" trips over "Micromanagement"
When being "Visionary" is derailed by "Not Being a Team Player"
And when "Creative/Innovative" is deflated by being "Self-Centric"
Perhaps you can imagine this scenario in your own organization when the results achieved by a leader through sheer passion and drive leaves bodies in the wake. Or when ego gets the best of creative collaboration because it demands center stage. To explore how well your leadership scales, contact us at 404-634-4332. To continue your learning journey with peers and colleagues interested in insightful conversation and fresh ideas, join us for the next Senior Leadership Executive Breakfast in Atlanta. As a firm committed to experiences that encourage growth mindset and practical application of insights, Clearwater Consulting offers these quarterly forums to our clients and colleagues as a way to connect the dots, share experiences with peers, and self-reflect in a manner that helps each of us grow individually and collectively.